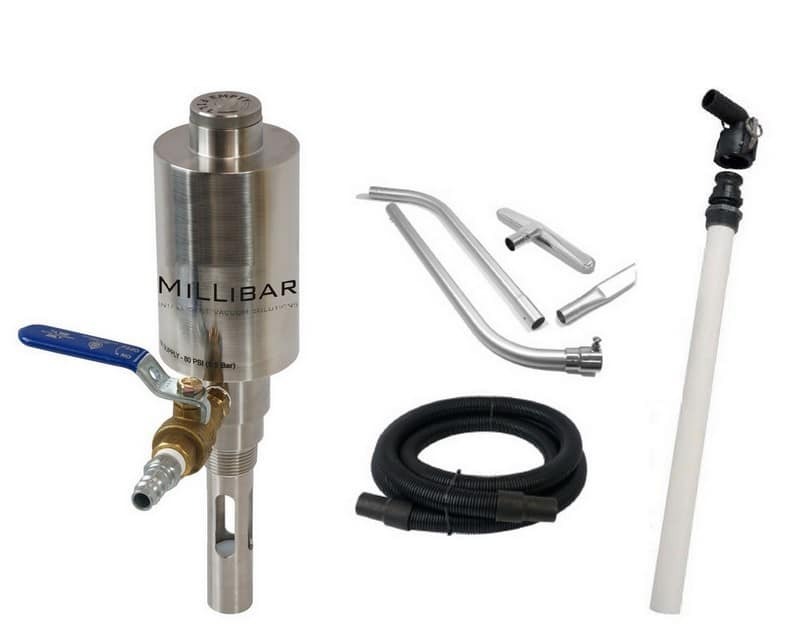 Picks up and transfers liquids using compressed air. Stainless steel, corrosion, resistance, no moving parts. Fits standard 3/4″ NPT bung holes in drums. Ideal for picking up floor spills and transferring liquids. Empty or fill a 55 gallon drum in less than one minute. 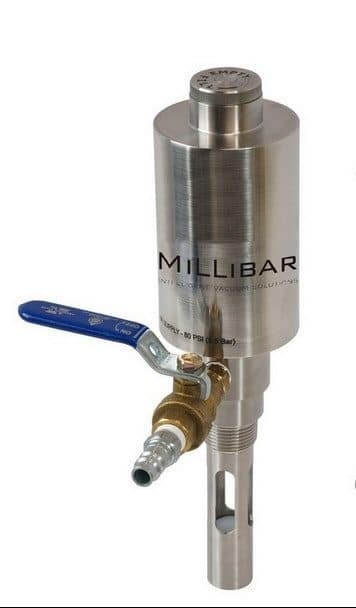 The heart of the system is our stainless steel air powered reversible drum pump. 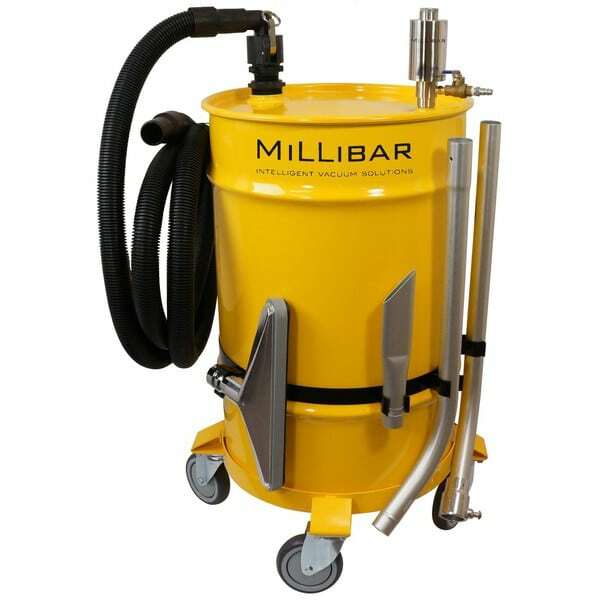 Pair it with any 5, 30, 55, or 110 gallon closed head drum to create a high powered drum vac for picking up floor spills or transferring liquids. Our flow thru pump has no moving parts and can fill or empty a 55 gallon drum in less than 2 minutes. It’s great for recovery of hydraulic oils, coolants, and other non combustible fluids.